1. Press on [Create new account] button 2. Enter Name, Wrong email address format (Ex; free@free) and password. 3. 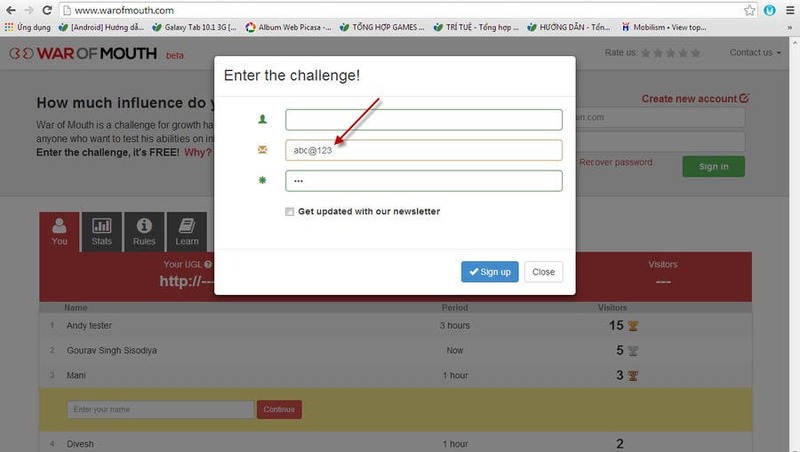 Press Sign Up button Expected: Should not allow wrong email address Real: able to create new account with wrong data.